SNMC is pleased to present visiting scholar and Imam candidate from UK. 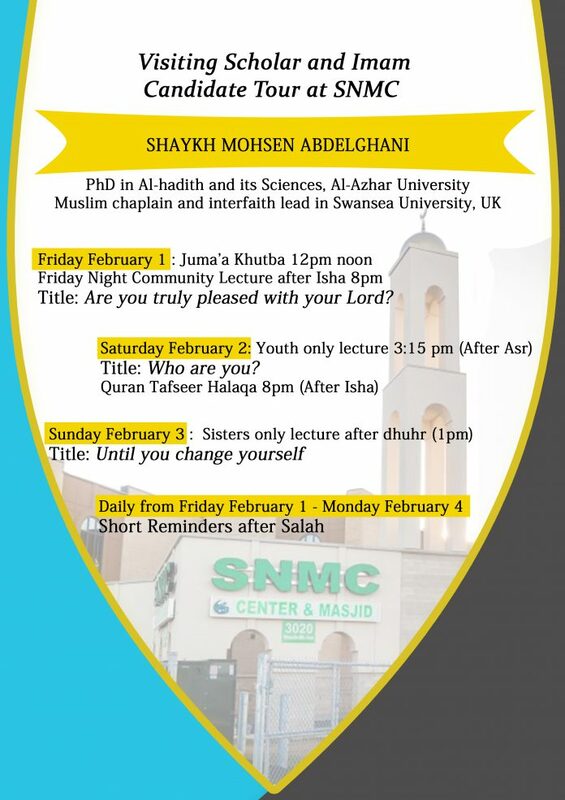 Shaykh Mohsen Abdelghani (PhD in Al-hadith and its Sciences, Al-Azhar University, Egypt) and a Muslim chaplain and interfaith lead in Swansea University, UK. We encourage the entire community to attend the masjid to meet and greet Shaykh Mohsen, attend lectures, participate in halaqas and listen to reminders after salah.